Each and every day you are exposed to toxins in your environment. Inside your home‚ you may be exposed to harmful chemicals in cleaning products or eat processed foods that contain unknown ingredients. Outside‚ you’re exposed to air pollution‚ cigarette smoke‚ and exhaust from vehicles. Overtime‚ these toxic chemicals can build up in your body and damage to your liver and other vital organs. 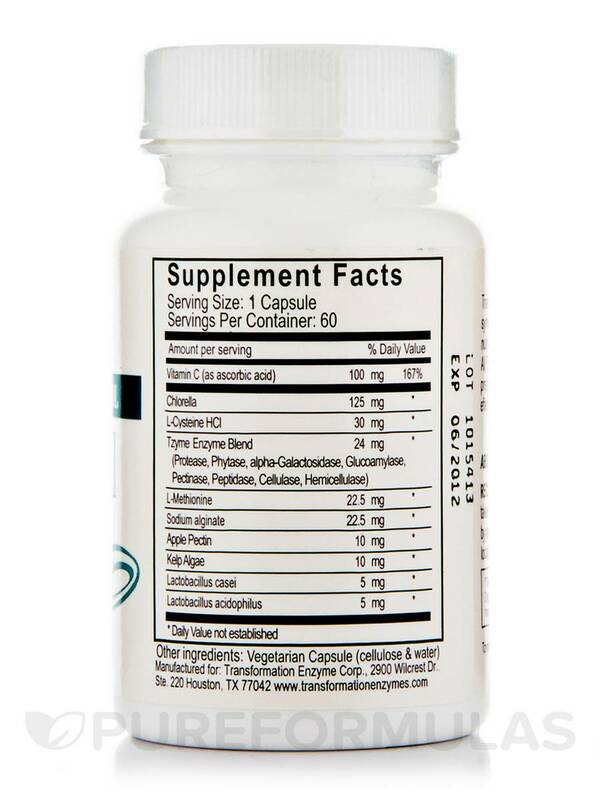 L-Cysteine‚ an amino acid that may support overall health and detoxification. In addition‚ it could act as the precursor to gluththione‚ an antioxidant. Kelp algae‚ which‚ in addition to other possible heath benefits‚ can potentially help with digestion and increase immunity. Apple pectin‚ which may naturally detox your body. Some individuals have also suggested that pectin may be able to treat some symptoms of poor cardiovascular health. 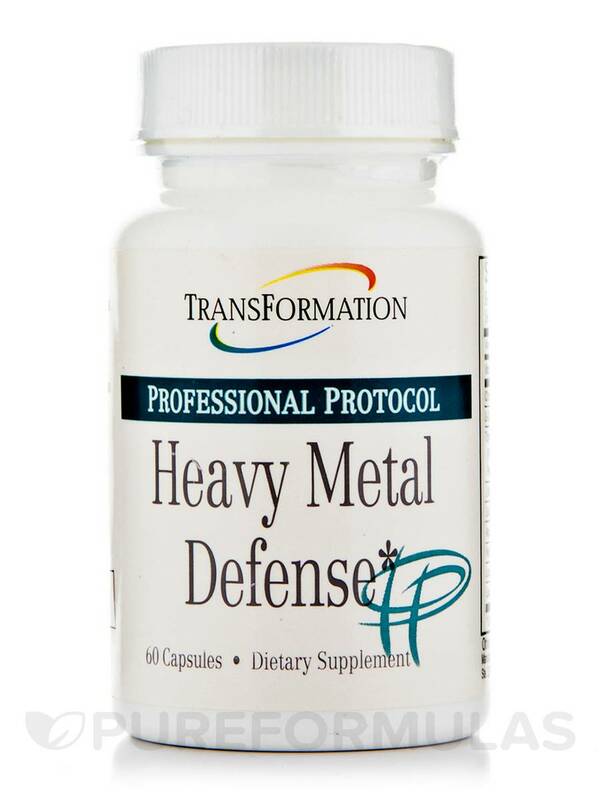 Protease‚ a digestive enzyme that catalyzes the breakdown of proteins by dismantling the peptide bonds that hold amino acids (the building blocks of proteins) together. 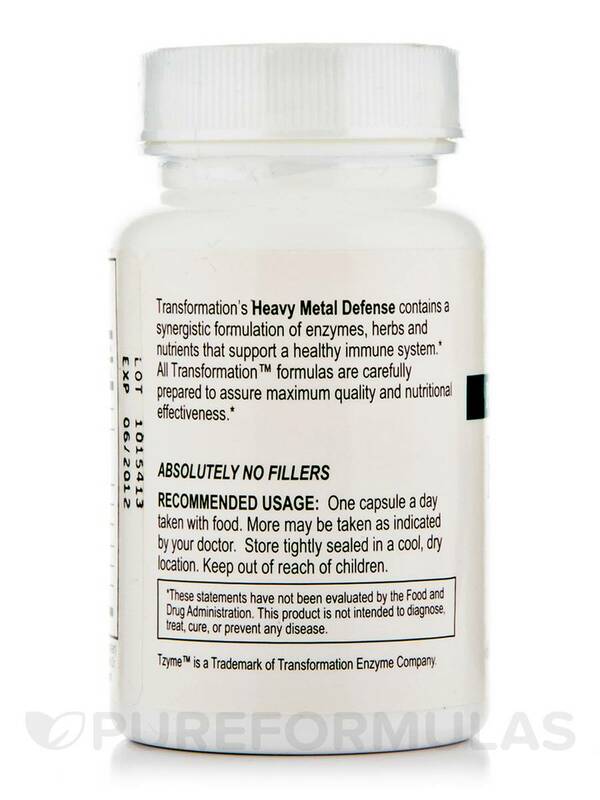 This bottle of Heavy Metal Defense by Transformation Enzyme Corporation contains 60 capsules‚ which should last for about two months when you take the recommended dosage of one capsule a day with food. Other Ingredients: Cellulose & Water. Take one (1) capsule daily with food. Usage may be increased according to individual needs as directed by health care practitioner.